Editorial by Mel Borup Chandler. Understanding the linguistic factor in translations and why inerrancy in the Bible is unlikely. Most anyone who speaks a foreign language knows that each language has its peculiarities. In many languages there are no words or even a way to express certain ideas. For example, The Sami people are an Arctic indigenous people who live in parts of far northern Sweden, Norway, Finland, the Kola Peninsula of Russia, and the border area between south and middle Sweden and Norway, and have hundreds of words for snow. Most languages would be unable to accurately translate so many words for snow. Some languages do not even have a word for snow, because in some parts of the world snow is, or was prior to television and modern technology, an unknown concept and it never came up. Usually when people need a word that does not exist in their own language, they borrow the words from another language that does have such a word or concept, but even then, the meaning is usually not exact. Even in English, we have hundreds of words we have borrowed from other languages and that we use every day. Borrowing words from other languages creates a rich cultural heritage of diversity and should be embraced with enthusiasm, but perhaps, we should not go overboard about the idea. The study of languages is called linguistics. By the first half of the 18th century, the Authorized English Version of the Bible was effectively unchallenged as the officially accepted English translation used in Anglican and other Protestant churches. Over the course of the 18th century, the Authorized Version replaced the Latin Vulgate as the standard version of scripture for English speaking scholars. The point is that somewhere along the path of translation, there will reasonably have to be judgment calls as to how to translate something from one language to another. This does not mean that the Bible is inaccurate or uninspired. In fact, there is little doubt that all of the translators worked under the direction and inspiration of God in translating their respective portions, but the idea of inerrancy from a linguistic point of view is untenable. Various Book of Mormon prophets have disclaimers in their record, since they were required to translate various languages, stating that any errors are their own and should not be attributed to God. It is interesting that even they understood the linguistic process, even as they worked under the inspiration of the Holy Spirit and God. When the Book of Mormon was first published there were many errors in grammar and printing that were later corrected, but it did not affect the content or the spirit in which the translations occurred. Just because there were corrections in such minor things does not mean they are invalid. 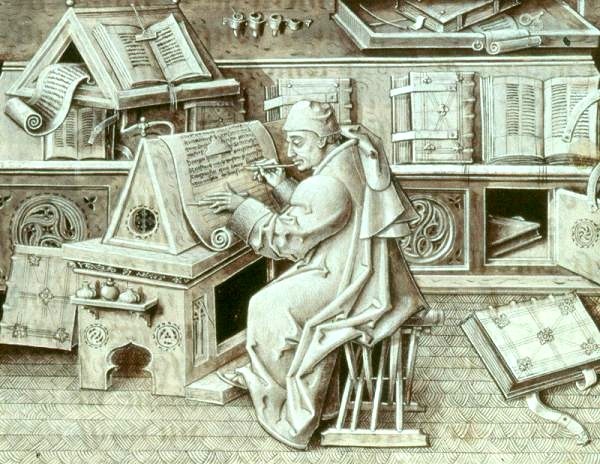 When Martin Luther translated the Bible, there was a particular man, his superior, who according to Luther, made a big deal when he made a minor mistake, and he was appropriately critical of him saying the man did not understand he was working under the Spirit, even when he made minor errors. Also in the translation process there are a number of major obstacles that affect the overall interpretation of the rendered work, and no doubt Luther would have had to make those decisions also. So we see, we are not just talking about minor revisions, but also major decisions that can affect a rendered translation. An example might be whether or not to render the translation in first or third person. The translation would need to be done throughout based on the decision of the translator and a reader would draw their conclusions overall from the way the translation was rendered. In Luther’s Bible of 1534 he printed an inter-Testamental section sandwiched between the Old and New Testaments. In that edition, Luther made a passionate, strongly worded, and controversial argument (reason and point of discussion) against the inclusion of apocryphal works as scriptural material that should not be included in the Bible. Luther was well aware of the problems in translation; after all, he had been in the thick of it for many years while he translated the Bible from Latin to German. He did not want to include some of the works in future editions and sought to permanently exclude them. Luther loved scripture, but his declaration of inerrancy allowed him to have this material permanently excluded in future editions. Some of the material was rightly excluded, but some was not. Luther’s idea of inerrancy apparently worked because the inter-Testamental section in his previous Bible was permanently excluded in new translations and also gave rise to others doing the same under the pretext that nothing more could be added in the future under penalty of sin. Luther was a purist, and his attempt to reform the Catholic Church did not work, but he also rejected some precious parts of the gospel, not only in scripture, but also rejected the “priesthood,” because he claimed baptism itself was a holy priesthood. Catholics claim the priesthood through the Apostle Peter, but if there was an apostasy, then those priesthood keys would have been lost. Catholics deny there was ever a falling away or apostasy. Luther was excommunicated for his views and teachings. Luther also rejected oral traditions that had been established in the church since the beginning. Mormons believe Luther was inspired by God, as a prepatory step forward to the eventually restoration of the Gospel in modern times. This falling away or apostasy had been previously predicted by the prophets (see 2 Peter 2:1, Mathew 24:9-12, John 16:1-3, Amos 8:11, 2 Thessalonians 2:3-4) even before Luther’s time, but continued until the restoration of the gospel by Joseph Smith in 1830. The Protestants themselves agree that a falling away or apostasy had already occurred, but for them a reformation was sufficient, while for Mormons a complete restoration was necessary, and Joseph Smith was an instrument in God’s hand to accomplish that restoration. Mormons also claim the priesthood through the Apostle Peter, who as a resurrected being appeared to Joseph Smith and gave him the keys to the priesthood during the restoration. Before rejecting this argument, consider that the linguistic complications are actually Biblically supported as per The Tower of Babel (Hebrew: מגדל בבל‎ Migdal Bavel Arabic: برج بابل‎ Burj Babil), according to the Book of Genesis, this was an enormous tower built in the plain of Shinar (Hebrew: שנער‎). God came down to see what they did and said: “They are one people and have one language, and nothing will be withholden from them which they purpose to do.” So God said, “Come, let us go down and confound their speech.” And so God scattered them upon the face of the Earth, and confused their languages, and they left off building the city, which was called Babel “because God there confounded the language of all the Earth” (Genesis 11:5-8). The idea that the Bible is inerrant (without fault and perfect) suggests that if it was written in any other language other than in that in which it occurred, or was originally spoken or written, it is flawed. If it was originally written in Hebrew, then perhaps there should be no translation at all. What if it was written in Aramaic, translated into Greek, then Latin, next German, English and then French? Does that invalidate the Bible? Of course not, biblical and scriptural translations are done under the influence of the Holy Spirit and interpreted by readers under the influence of the Holy Spirit. If there are grammatical or even translation errors, what difference does it make? In scriptural texts accommodations must be made. Hebrew was the language spoken by the ancient Israelites, and in which were composed nearly all of the books of the Old Testament. The name Hebrew as applied to the language is quite recent in Biblical usage, occurring for the first time in the Greek prologue of Ecclesiasticus, about 130 B.C. (hebraisti, rendered by the Vulgate verba hebraica). In Isaiah 19:18, it is designated as the “language of Chanaan”. In other passages (2 Kings 17:26; Isaiah 36:11; Nehemiah 13:24) it is referred to adverbially as the “Jews’ language” ( ioudaisti, judaice). In later times the term “sacred language” was sometimes employed by the Jews to designate the Bible Hebrew in opposition to the “profane language”, i.e. the Aramaean dialects which eventually usurped the place of the other as a spoken language. In New-Testament usage the current Aramaic of the time is frequently called Hebrew (hebrais dialektos, Acts 21:40; 22:2; 26:14), not in the strict sense of the word, but because it was the dialect in use among the Jews of Palestine. Among biblical scholars the language of the Old Testament is sometimes termed “ancient” or “classical” Hebrew in opposition to the neo-Hebrew of the Mishna. With the exception of a few fragments, viz. one verse of Jeremias (x, 11), some chapters of Daniel (ii, 4b-vii, 28) and Esdras (Ezra 4:8-6:18; 7:26), which are in Aramaic, all the protocanonical books of the Old Testament are written in Hebrew. The same is true also of some of the deuterocanonical books or fragments (concerning Sirach there is no longer any doubt, and there is a fair probability with regard to Daniel 3:24-90; 13; 14; and 1 Maccabees) and likewise some of the Apocrypha, e.g. the Book of Henoch, the Psalms of Solomon, etc. apart from these writings no written documents of the Hebrew language have come down to us except a few meagre inscriptions, e.g. that of Siloe discovered in Jerusalem in 1880, and belonging to the eighth century B.C. a score of seals dating from before the Captivity and containing scarcely anything but proper names, and finally a few coins belonging to the period of the Machabees. So from this we again are reminded that language always plays a deciding role in how a work is translated. This does not mean we are left to our own means however, because when we read the Bible or other inspired works, we interpret according to the guidance and inspiration of the Holy Spirit. Critics or Mormonism frequently comment on how many revisions there have been to the Book of Mormon, but in truth, if they looked a little farther, if that was their intent, they would have to admit their argument holds no validity. Every year, several New Testament manuscripts handwritten in the original Greek format are discovered. The latest substantial find was in 2008, when 47 new manuscripts were discovered in Albania; at least 17 of them unknown to Western scholars. When comparing one manuscript to another, with the exception of the smallest fragments, no two copies agree completely throughout. Note, however, that a single difference prevents agreement. There has been an estimate of between 400,000 variations among all these manuscripts (from the 2nd to 15th century) which is more than there are words in the New Testament. This is less significant than may appear since it is a comparison across linguistic boundaries. More important estimates focus on comparing texts within languages. Those variations are considerably fewer. The vast majority of these are accidental errors made by scribes, and are easily identified as such: an omitted word, a duplicate line, a misspelling, a rearrangement of words. Some variations involve apparently intentional changes, which often make more difficult a determination of whether they were corrections from better exemplars, harmonizations between readings, or ideologically motivated.Palaeography is the study of ancient writing, and textual criticism is the study of manuscripts in order to reconstruct a probable original text (Wikipedia: Biblical Manuscript).